I've been a very happy Dashlane Android user for many months now - I'm ecstatic to have a password manager that just works between all my devices, encrypts my passwords in transit and at rest, and has a responsive dev team. First, some background on In-App Login. When I first migrated from Lastpass, I noticed that Dashlane was missing one critical feature: In-App Login. If you're unfamiliar, when you are at a login screen in any app, Lastpass will pop up a dialog (using an Accessibility Services plugin) to fill in the username/password for you. Dashlane was missing this feature, and when I asked for it in a Play Store review, the devs were quick to respond that it was in the works and coming soon. I bumped my review to five stars, and all was right with the world. Who or what is DL? Why is it doing this almost 20 times a second? Sure enough, I ran top inside a terminal emulator on the phone and scanned the output. A Dashlane-related process was sitting at a constant 2-10%. That was enough probable cause for me. I went into the Dashlane app and disabled the In-App login plugin. The log messages stopped, and my slow, underpowered, overheating phone became as quick and spry as the day I got it. I could almost hear the CPU sigh in relief as months of busy tight-looping came to an end. Rework this implementation. At the very least, the In-App Login plugin should not be checking so often for input fields (which is what I presume the "Analysus" involves). Once every 3-5 seconds should be plenty and result in a 99% decrease in CPU usage. You could cut it back even further by maintaining a whitelist of apps you support and only running the analysis when those apps are foregrounded. It's worth mentioning that even with In-App login disabled, Dashlane still blows every other password manager out of the water. 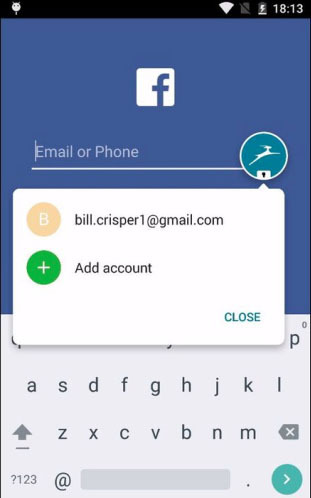 You've built a great product, and the In-App Login feature is still relatively new. With a more mature implementation, it could be unstoppable. Please improve the Battery Usage screen to better display consumption from these background processes. I would have caught this way, way earlier if the DL process weren't unhelpfully glommed together with a bunch of other stuff under Android OS and Android System. When each of those are using upwards of 16% battery each, it leaves the user helpless to figure out what to disable to stop the battery drain... how about a top-like display of total cpu-time used per process since the last charge?